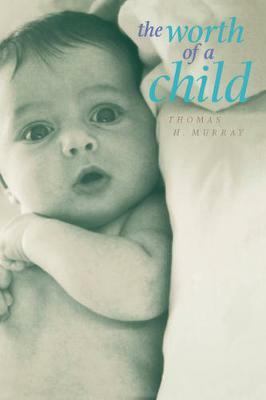 Thomas Murray's graceful and humane book illuminates one of the most morally complex areas of everyday life: the relationship between parents and children. What do children mean to their parents, and how far do parental obligations go? What, from the beginning of life to its end, is the worth of a child? Ethicist Murray leaves the rarefied air of abstract moral philosophy in order to reflect on the moral perplexities of ordinary life and ordinary people. Observing that abstract moral terms such as altruism and selfishness can be buried in the everyday doings of families, he maintains that ethical theory needs a richer description than it now has of the moral life of parents and children. How far should adults go in their quest for children? What options are available to women who do not want to bear a child now? Should couples be allowed to reject a child because of genetic disability or 'wrong' gender? How can we weigh the competing claims of the genetic and the rearing parents to a particular child? "The Worth of a Child" couples impressive learning with a conversational style. Only by getting down to cases, Murray insists, can we reach moral conclusions that are unsentimental, far-sighted, and just. In an era of intense public and private acrimony about the place and meaning of 'family values', his practical wisdom about extraordinary difficult moral issues offers compelling reading for both experienced and prospective parents, as well as for ethicists, social and behavioral scientists, and legal theorists.